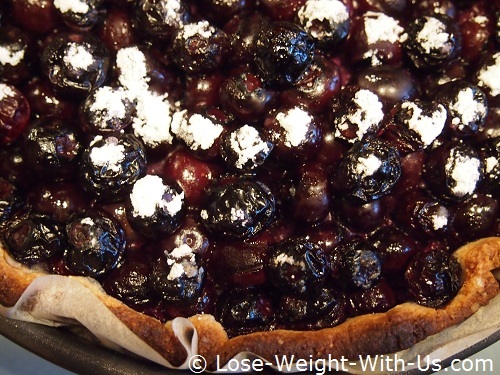 This single crust low carb blueberry pie recipe is sugar and flour free. 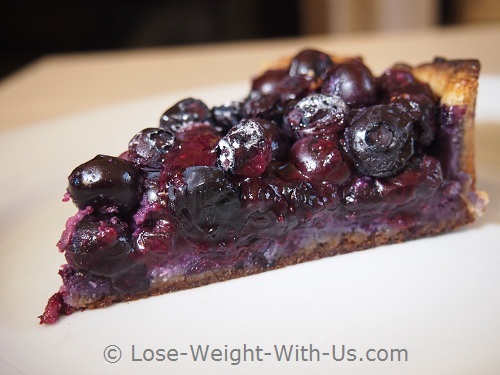 It looks and taste pretty much like a traditional blueberry pie. 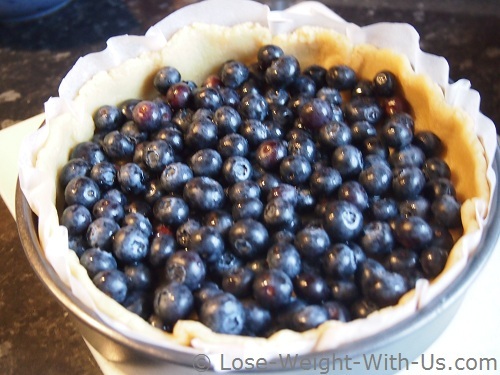 One slice of this fresh blueberry pie contains 250 calories, 10.7g of net carbs and is suitable for 2nd and 3rd phases of a low carb diet. 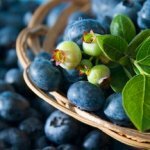 Blueberries are well known for their "superfood" abilities to neutralize free radicals, improve your vision, protect from degenerative brain and heart diseases, so when blueberries are in season why not make a delicious pie. Recipe Nutritional Profile: Diabetes Appropriate, Healthy Weight, High Fiber, Low Calories, Low Carbs, Low Cholesterol, Low GI, Low Sodium, Vegetarian. To your taste: stevia or other calorie and carb free sweetener of your choice. Mix ground almonds, baking powder, butter, egg whites and sweetener together to make a dough. 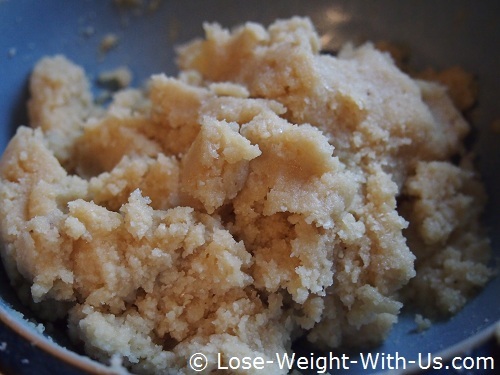 Use a food processor or mix well with your hands. 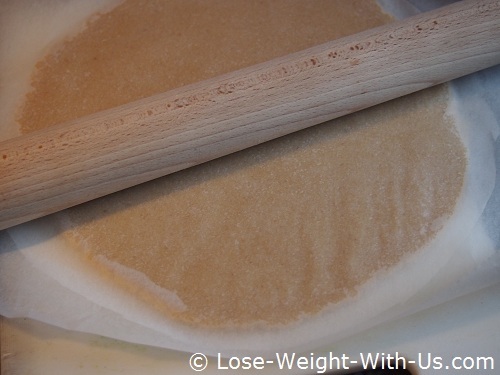 Make the dough fit the baking dish using a dough roller and 2 sheets of non-stick baking paper - place the dough mix in between 2 sheets of paper and roll out with the roller. 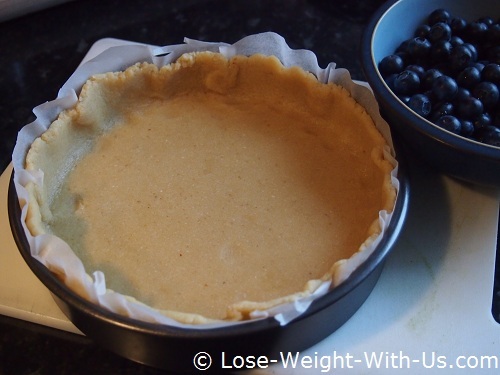 Place the dough with baking paper into the baking dish, pressing the dough into the corners and remove the top layer of paper afterwards. 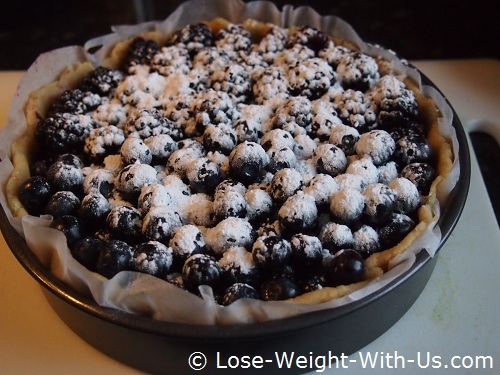 Put the blueberries on the top of the dough and sprinkle the berries lightly with stevia or your favorite low carb sweetener. If you are using pure stevia 1 tsp. is plenty. 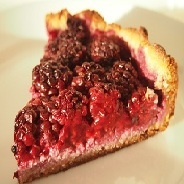 Bake the pie for 25-30 min until the pastry is golden-brown. Serve hot, warm or cold.